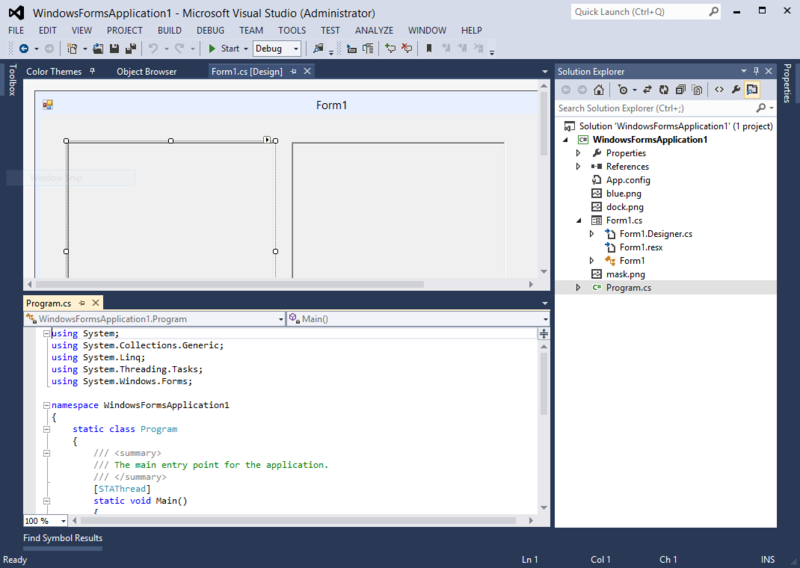 This page provides a review on Microsoft Visual Studio themes. DockPanel Suite themes follow the look-and-feel. Gradient effect is almost removed. More colors are utilized (especially when a visual element is hovered or pressed by mouse). Document tabs have close buttons. Dock target indicators are transparent. 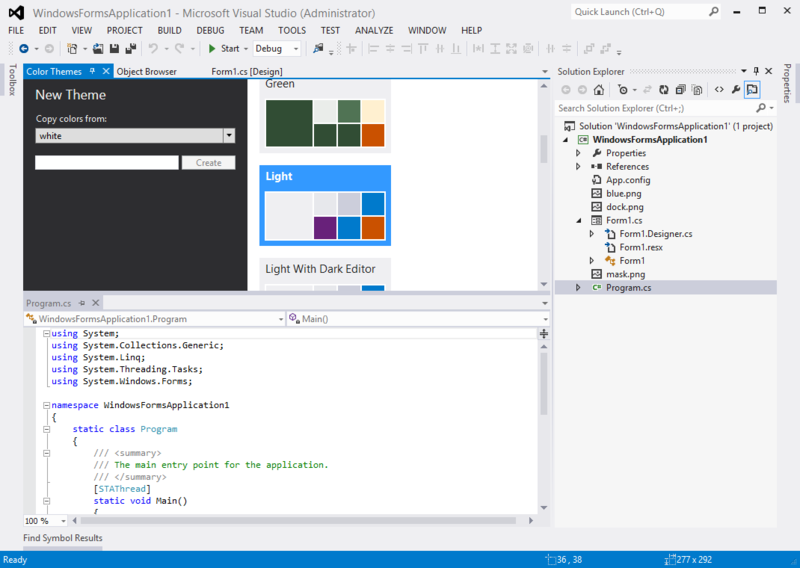 When Microsoft designed Visual Studio 2012, they came across the idea to ship a light theme, as well as a dark theme, instead of the blue theme of Visual Studio 2010. Icons are removed from auto-hide strips. Auto-hide tabs, tool window, document tabs use simple rectangles instead of rounded. Separators are used in tool window tabs. Vertical splitters use a blurring effect to distinguish from horizontal ones. By community request, in a later Update, the blue theme was also added back. Its vertical splitters are rendered the same as the horizontal ones. 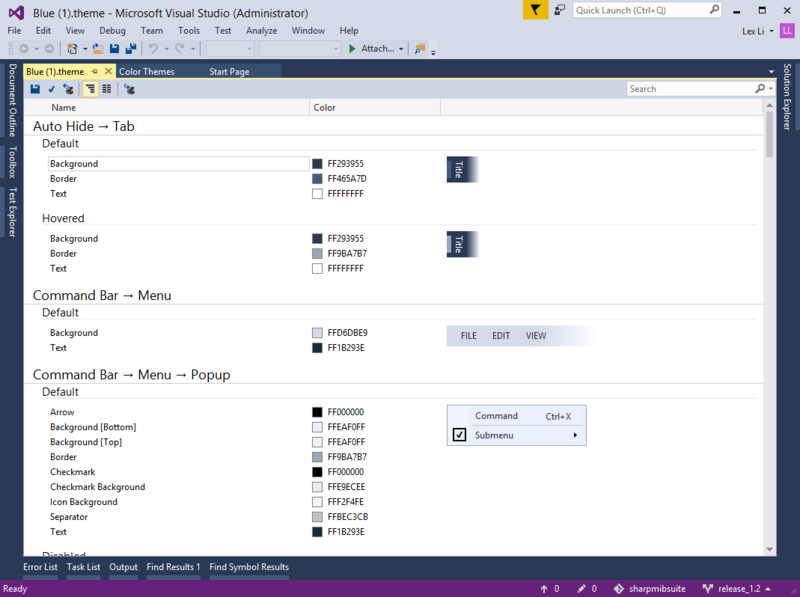 Visual Studio 2013 ship all three themes by default (light, dark, and blue). A few colors have changed in the palette. 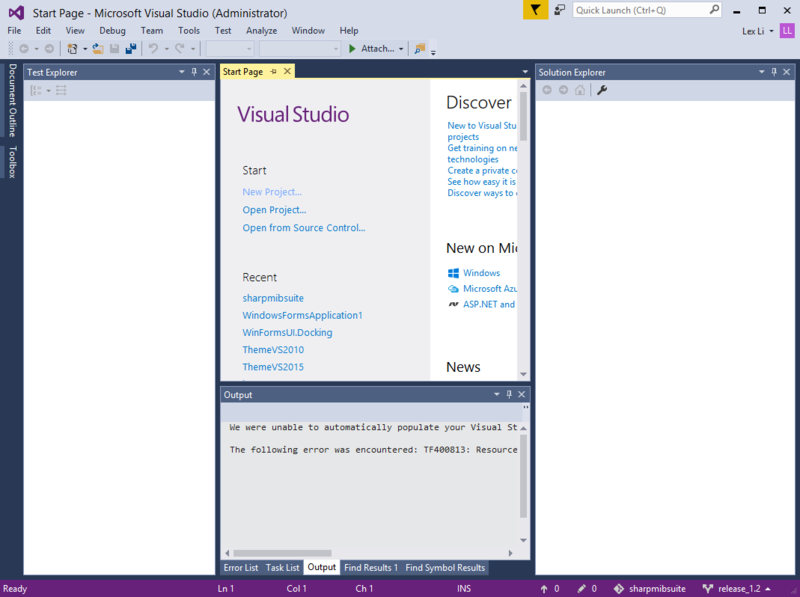 Tool window tab separators are removed. Tool windows and documents use borders. 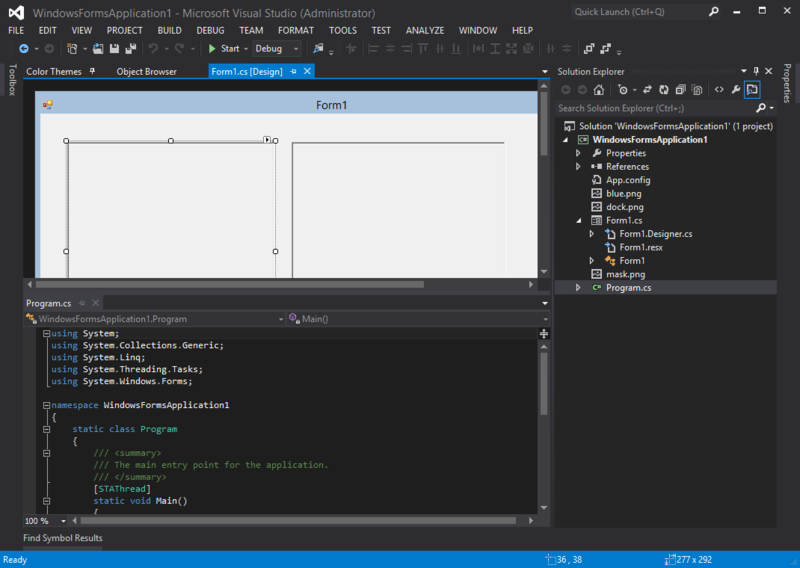 Splitters follow Visual Studio 2012 blue theme style. 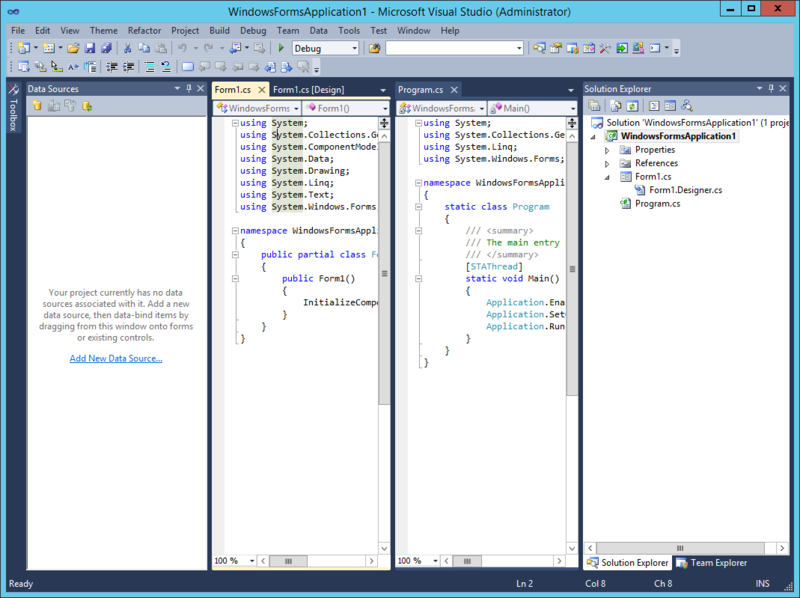 Visual Studio 2015 ship all three thems by default (light, dark, and blue). 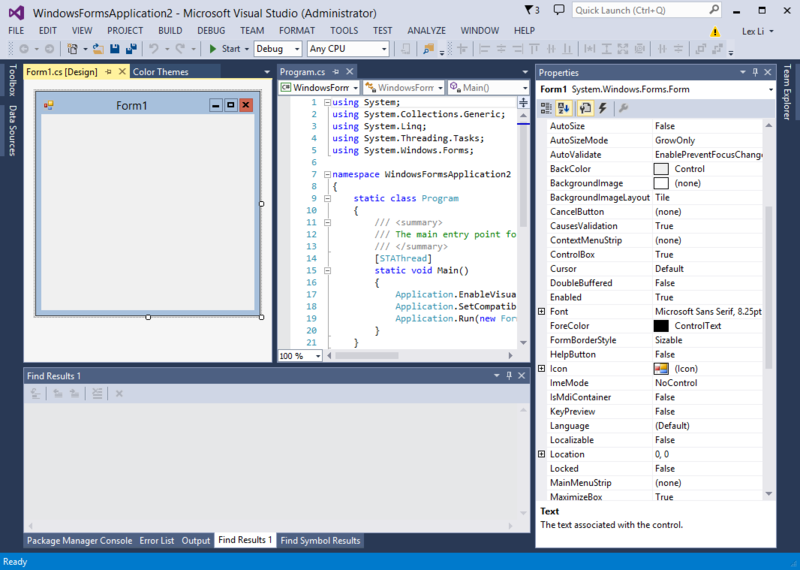 This time except a few color changes in the palette, the look-and-feel is almost the same as Visual Studio 2013. 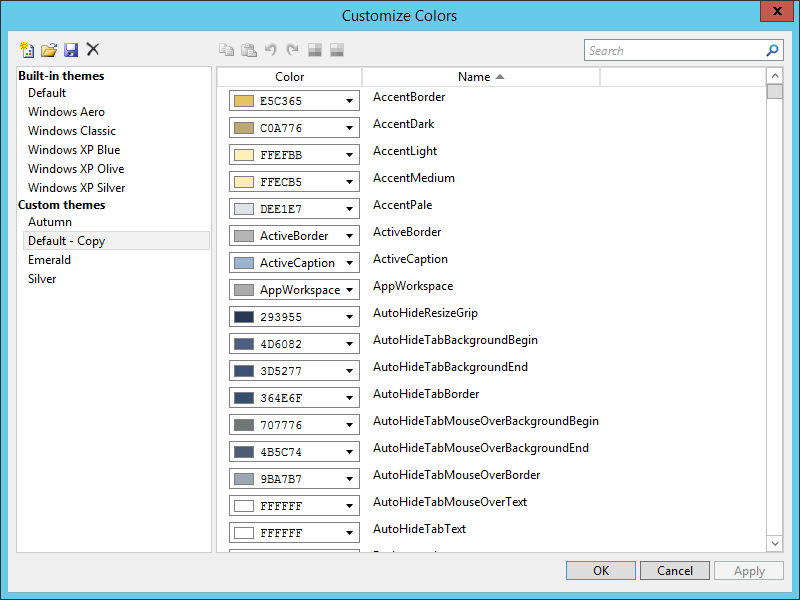 It can import/export themes to .vstheme files in XML format.